There are many reasons behind the increasing crime rate in the world. In this era, the reason and the concept of crime has changed a lot due to the advancements in technology and the change in human behavior. The major factors that are the reason for the increased crime rate include the economic issues, change in family relations and morals and the evolution of science and technology. The wealth is not adequately distributed among all people, and unemployment also causes many people to rebel and commit crimes. With the increased crime rate, more people are put in jail for committing various felonies. 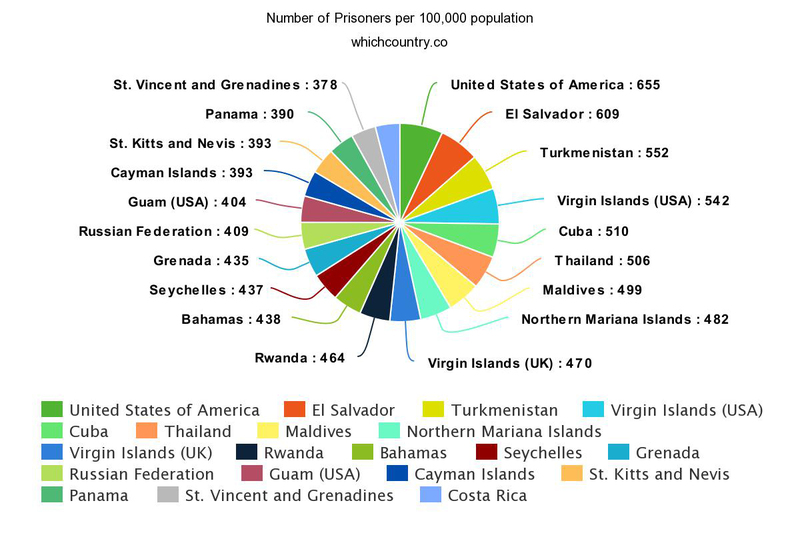 So if we make a list of countries that have the most prison population, the US has the most prison population as compared to any other country in the world. Hilary Rodham Clinton in her speech on criminal justice at Columbia University stated that around 5% of world’s population but 25% of World’s Population of Prisoners resides in the prison facilities of United States. If we look closely into the facts and figures, U.S has around 4.4% of the total population of World. Sen. Rand Paul also used the same figures in a news release on a website on 9th March 2015. 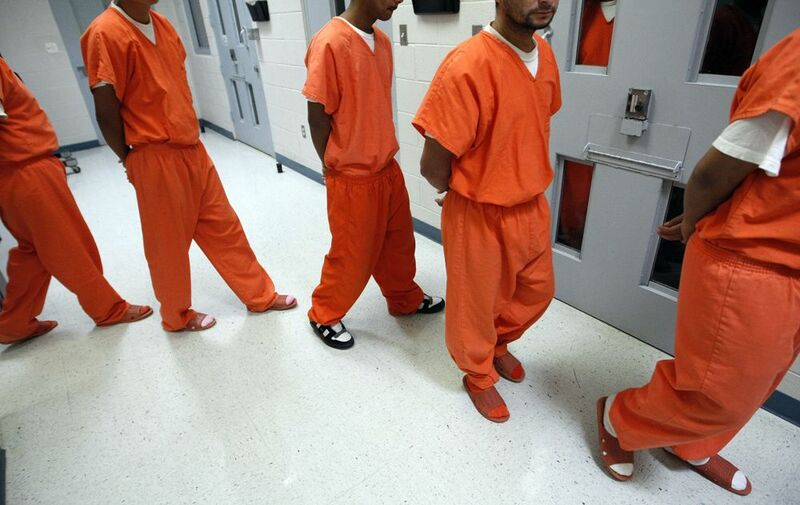 According to the figures of 31st December 2011, there were approximately 2.24 million prisoners in the U.S. If we compare that with the total prison population of the world, that makes up about 22% of the global prison population in the U.S. If we look back in the past, United States was the country to the an example of Prison Systems for the European countries, but with the passage of time, the trends changed, and the incineration rate in the US skyrocketed Critics point out at many factors that led to the increase in crime rate. Public policies and the new laws and amendments imposed during 1970 and 1990’s made the federal sentencing laws even more strict, and due to that the enforcement and imprisonment was increased. Due to the mandatory sentencing laws, the time of prison sentences was increased. With the help of increased law enforcers and even more prison staff, more people were put behind bars to reduce the crime rate by keeping the criminals off the streets by imposing introducing strict policies. Prison also became a center to treat victims of mental health issues, physical health issues and drug abuse. So all these factors led to the increased incineration rate in the U.S. There are other complicated reasons also that add on to the reason of increased incineration rate in the United States. The major factor is that other countries lay emphasis on the rehabilitation of prisoners, but the prisons of the United States do not pay heed to the rehabilitation. Many studies have depicted that rehabilitation of prisoners can yield a positive impact on the young offenders and the first time offenders. When the young and first-time offenders are put into rehabilitation centers, there is a less chance that they will commit a crime again. They learn their lesson and move on with their lives. But in the United States, the prison policies focus on punishing the criminal for the crime they’ve committed instead of fixing the cause of crime. So when the first time offenders are put behind bars, they often become a rebel, and when they’re let loose, they are most likely to commit the same crime again. Another reason for the increased crime rate which in terms results in increased incineration rate is the fact that it is challenging for an ex-prisoner to find a decent job. This is because everyone turns down the applicant who has even a small criminal record. The conviction leaves a permanent black mark on the past of a person. Adding to that the government pays no heed towards helping the people get a job as they are released from prisons. These people fail to pursue their careers. Due to this reason, the criminals feel like they have no other option to survive and the fall back into the same life of crimes again. Yet another issue is the privatization of prison system of the United States. The government does not manage and maintain the prison under their own ownership; rather it hands them over to the private companies to manage the prisons. These private companies receive a significant proportion of funds based on the population of prisoners in the incineration facilities. So in short, if there are more prisoners in the prisons, the company will receive more amount of money to run their facilities. So these companies also don’t pay attention to the rehabilitation, and there is no strategy to keep the prisoners from coming back to prison. That last issue of the increased imprisonment rate of United States is the most important subject, and it is basically a combined effect of all the reasons stated above. Many people have addressed the issue, and they’ve all mentioned that some crimes like the convictions for drug use are extremely strict and have lengthy sentences. These rules were implemented during the “War on Drugs” in the 1970’s to the 1990’s when the U.S. imposed strict policies for the drug suppliers and users. The thing about drugs is that because of being common, every person who has someone in their circle that uses drugs feels the urge to try at least once. Even if they don’t feel the urge, they are forced to try some stuff at different parties and get together. The first time drug users are not addicts, and they’re not even violent. They don’t have any motives to harm anybody. The war on drugs is a noble cause, but the downside of strict policies is that the non-violent and the first time drug users have to face lengthy prison sentences. It is important to mention the negligence of rehabilitation as these offenders can get back to an honest life if they’re shown the right path. But instead, they’re just left to rot in prison which leads them to make connections with other prisoners and that in terms lead them to commit even more serious crimes. So when they’re left out on the streets, they start living their lives as criminals rather than being a successful person. In the years 1980 to 2015, the number of people taken as prisoners in the United States increased rapidly from half a million to 2million. Now 5% of the total population is in the United States, and about 22% of the prison population of the world resides in the prisons of the United States. 2.7% of the total adult population in America is under surveillance. Statistics exhibit racism in the policies of the United States as the rate of African Americans in prisons is about five times the rate of whites. The total population of US includes 32% if African Americans and Hispanics but they comprised of 56% of the total imprisoned population. 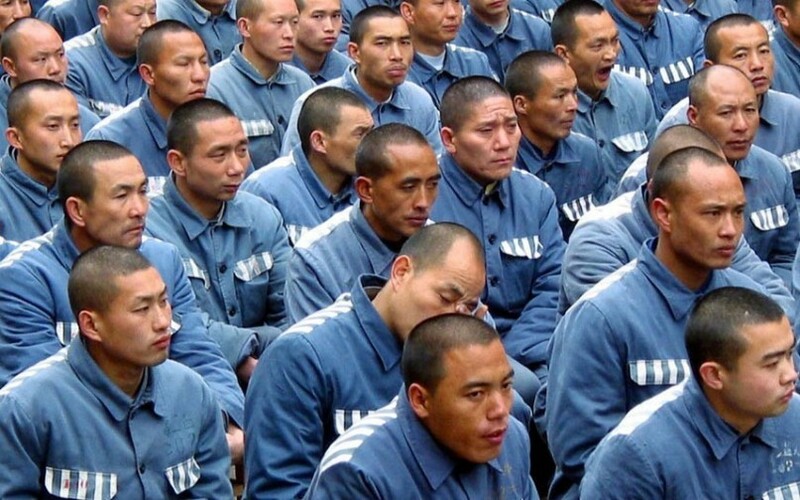 With a massive prison population of about 1.7 million, China stands second on the list of countries with the highest prison population. If we look up only the Asian countries, China leads with almost four times the number of prisoners in India. That massive amount is also because of the 1.7 billion population of China. As per 2013, China was the most populous country in the world. Most of the crimes in China are either related to theft or fraud and the rate of crimes in the country increased gradually over the years, and this may seem like the result of the rapidly growing social inequality and the economic development. But even then, in spite of the increased crime rate, China is relatively a safe country to live in. China was not also listed among the 50 most dangerous cities in the world. That list of cities was made using the stats of murder rate in the city. Re-education through labor is the peculiar feature of the Penitentiary systems of China with individual administrative detentions. Those who were sentenced to re-education through labor were given a special punishment under the administration’s guidelines. The system was criticized for physically abusing the people under the sentence. Several critics also mentioned that people were kept in there for religious and political purposes. The practice of this system was abolished back in 2013. The number of people kept in for re-education through labor was highest in 1960. As per the stats of 2010, round about 310,000 people who were incarcerated in the re-education through labor in China.